Join us next week at Entrepreneurship 101 as three leading venture capitalists (VCs) discuss the secrets to successfully pitch to a VC or an angel investor to secure money for a growing technology business. What’s your end-game? No really. If you think long and hard about it, what are you trying to achieve? It’s easy to get caught up in the glitz and glamour of fundraising. Speaker Katherine Hague of Female Funders suggests that when reading headlines about $30 million raised or $100 million raised, it can quickly get into your head that that’s what the objective is. But that’s not what it should be about. The first lesson in financing is to remember that venture capital success is not success. Your biggest concern should be building strong business fundamentals. And before you start raising money, you need to establish your goals, and you really need to understand the reason why you’re doing this. The bottom line is that your motivations and goals will help determine what early sources of financing to pursue. Are you trying to transform an industry? Be the next Steve Jobs? Or do you want to be your own boss and have a nice cottage? There is no wrong answer, but there definitely is an answer and it will frame how you approach your business. The pull of being your own boss and operating with freedom can quickly get trumped when you go to raise venture capital. If that doesn’t sound like the road for you, look at basic sources of financing first. Friends and family. Angel investors. Commercial institutions. Have a broad perspective of what’s out there and what’s needed to move your business forward. Marc Faucher gave the example of how at a pivotal time for Unata, money was short and there was a large degree of unpredictability. Marc was having equity-based conversations and one day got a tweet from commercial institution, BDC. It said, “Hey, we like your story, do you want to talk about funding?” Two days later, Unata secured $175,000, which ended up giving the team four months of runway at a crucial time, without costing them 15% of their company. 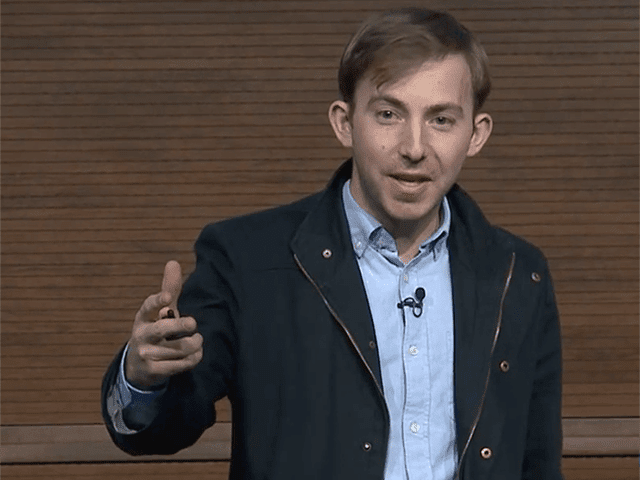 If you decide to raise your first round of capital, speaker Mike Katchen of Wealthsimple thinks there are common misconceptions we need to shed. He points to a few key factors that helped his company raise $2 million in two weeks. Early-stage funding is all about optics. It’s about human psychology. Does the investor like you as a person? Are their friends investing? While having an awesome team, great product and a big market is fantastic, what matters for investors early on is who else in investing. It’s FOMO, or the fear of missing out, that Mike argues makes finding your lead investor early the most important piece of the puzzle. Once you’ve secured a lead investor, move quickly. Set a deadline and use it to motivate other investors. Remember that time spent fundraising is time spent away from building your business. In everything you do, aim to stand out from the crowd. Have a simple and powerful deck. Be open about who your potential investors could be (hint, they might not be in your sector). And, if you can, put some money in yourself. Mike believes that this can go a long way to show your conviction and alignment, and demonstrate that you’ll be a responsible steward of a potential investor’s capital. Later-stage funding is challenging—and this provides even more incentive to focus on getting profitable. The funding landscape is getting harder, and more and more traction is required. Investors have so many seed-funded companies to choose from. If you want to have your destiny in your hands, get revenue. When putting a value on your company, you need to be practical. Keep in mind that a higher valuation isn’t always better. Again, this goes back to really thinking about your goals, what you would be willing to sell for and why you’re doing this. Raising too much money can be a kiss of death for a company. It’s through measured growth and a deep understanding of what you will do with the money that you can drive success. Find yourself a mentor who has been through these different cycles. None of it is rocket science, but you’ve got to ask yourself some tough questions first. There are no magic bullets, and there’s certainly no substitute for working hard. Putting yourself out there will eventually pay off. Networking, warm introductions and people you help along the way will reap its rewards. Building a business, financing, and taking venture capital can quickly become stressful. Katherine Hague gives wise words cautioning entrepreneurs that balance is lost gradually. One skipped trip to the gym, followed by another late night, and so on…and before you know it, your body is in overdrive. Maintain balance as you grow your business. And stay true to why you started it in the first place. See the videos below for more of what our speakers had to say.